Here is a good deal on the Drunkard Rebuildable Tank. This has been flying off the shelves around the vendorsphere and I found a spot that’s actually cheaper the others with free shipping. The Drunker holds about 5 ml of e-liquid so you can vape all day without refilling. This 510 tank has a cone spout that unscrews from the top with an opening made for a 510 drip tip. The heating coil assembly unscrews from the top of the tank so you can easily replace the coil and wicks. 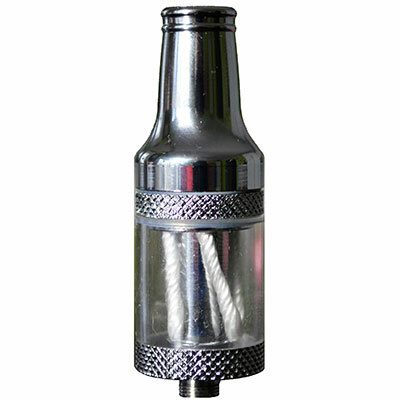 This tank features four wicks to help feed e-liquid to your coil so that it stays moist. It comes standard with a 2.4 ohm coil.